The United States! When you break down the meaning of the name, it is exactly what it says on the tin - A set of United States, unifying to create America! 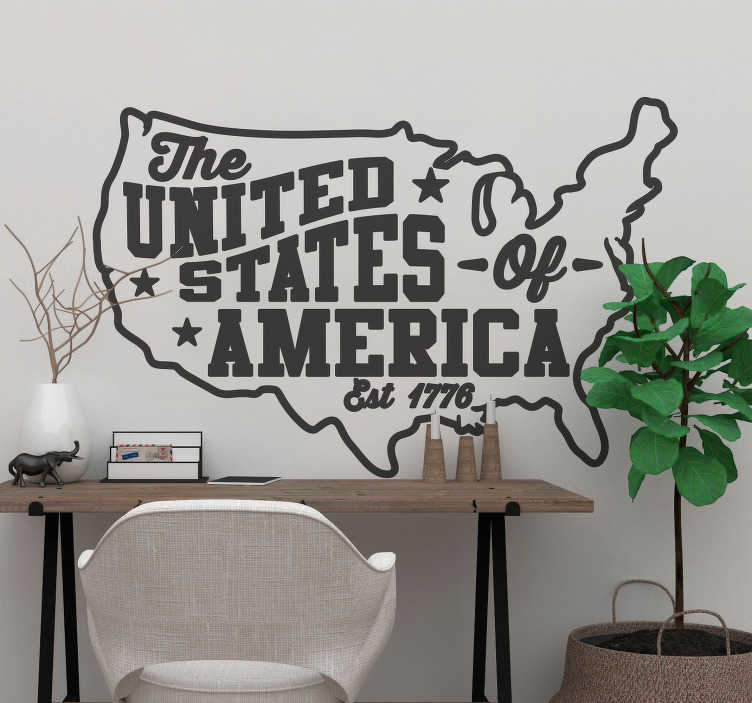 Perfect American home decor for all those proud patriots who wish for America to get back to being as United as it should! Choose your size, choose your colour and decorate your walls with this fantastic wall typography decal.